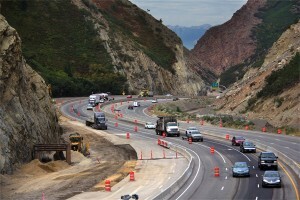 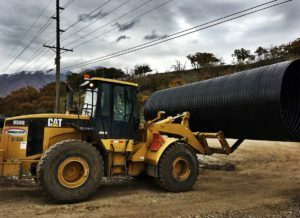 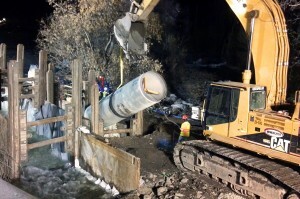 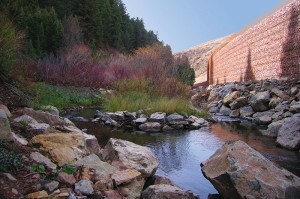 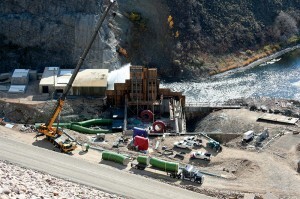 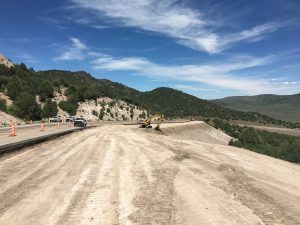 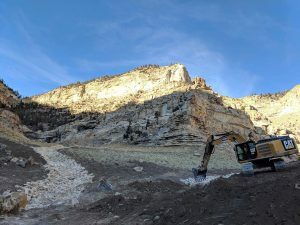 The largest segment of a three-part $250 M job, this 12 mile culinary water pipeline connects the Little Cottonwood Treatment Plant to the Point of the Mountain Water Treatment Plant. 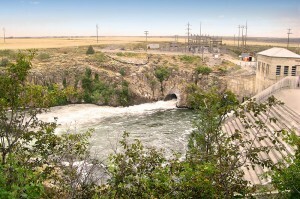 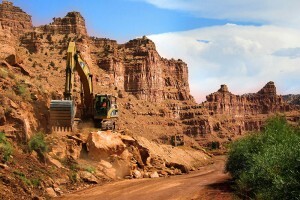 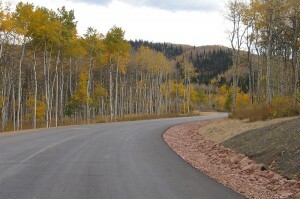 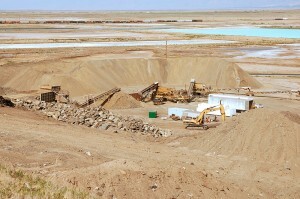 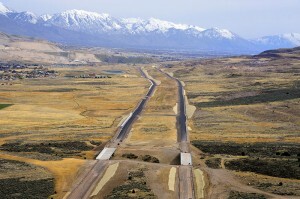 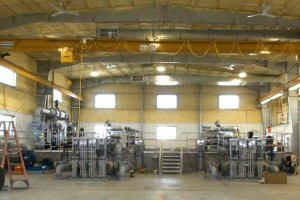 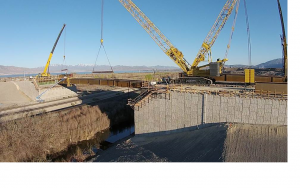 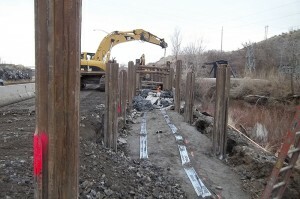 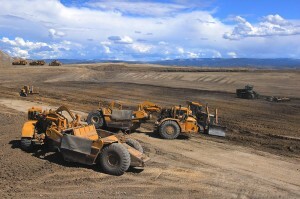 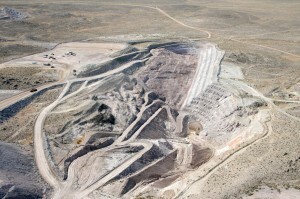 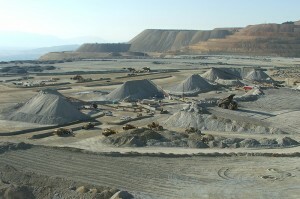 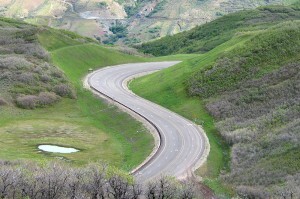 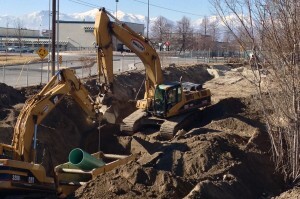 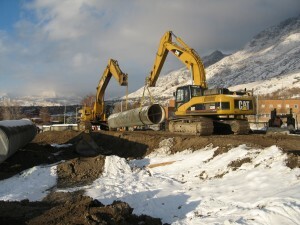 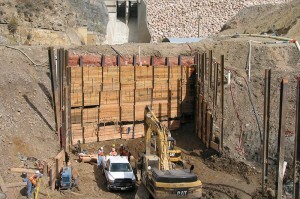 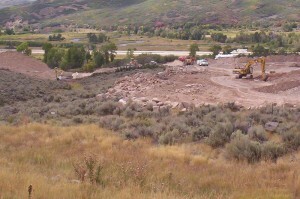 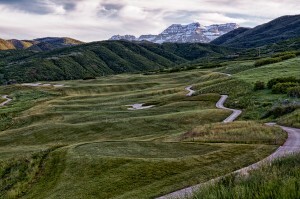 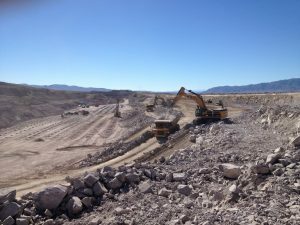 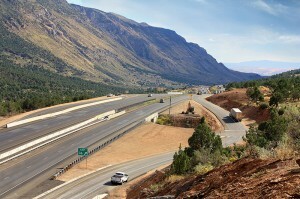 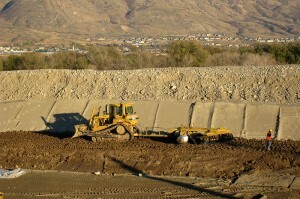 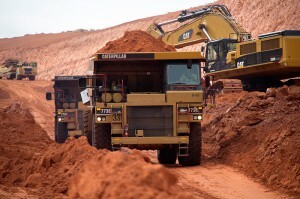 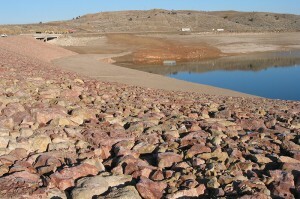 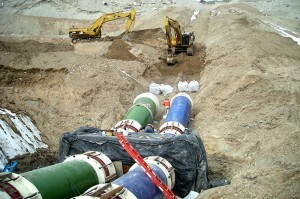 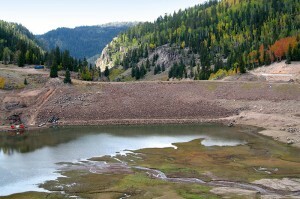 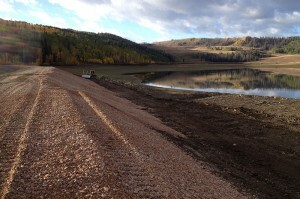 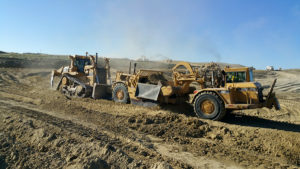 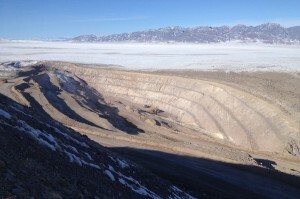 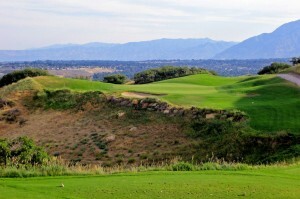 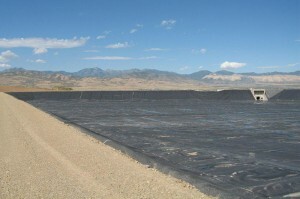 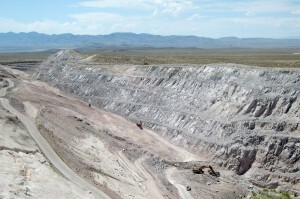 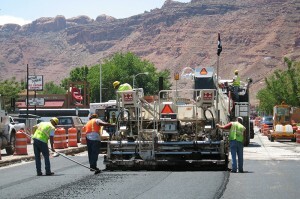 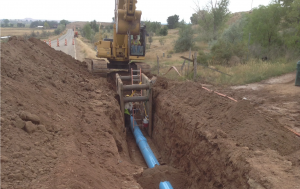 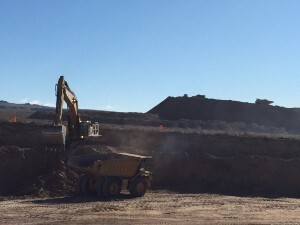 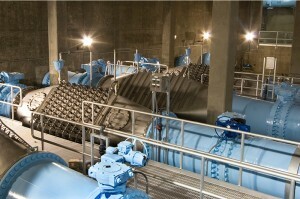 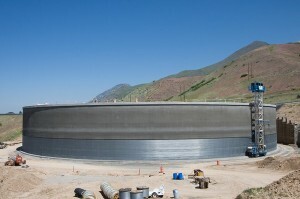 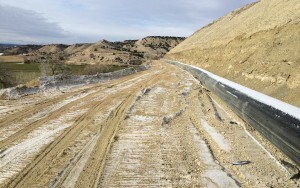 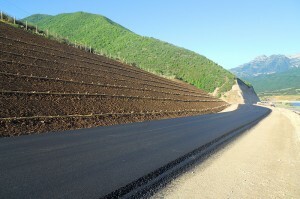 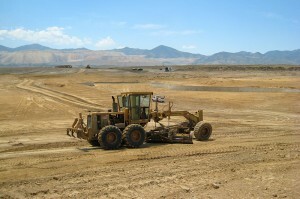 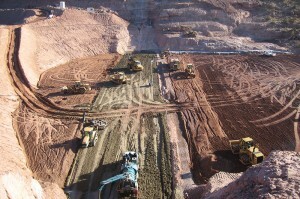 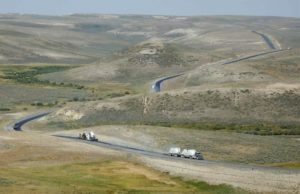 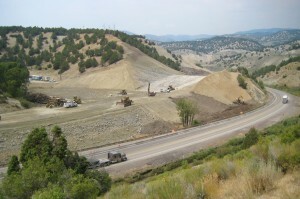 Two major pipelines were included in this job: The Raw Water Pipeline, which is connected to the Provo Reservoir Canal and the Point of the Mountain Raw Water Reservoir, and the Finished Water Pipeline. 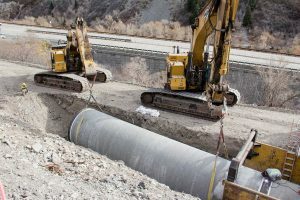 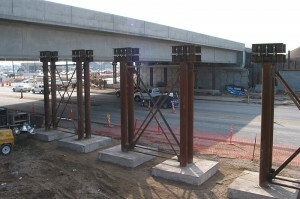 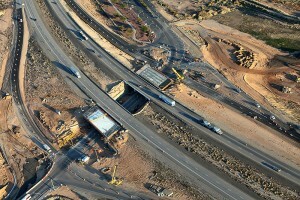 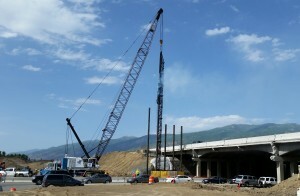 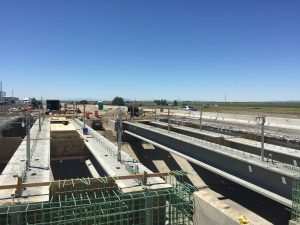 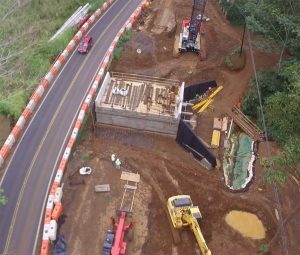 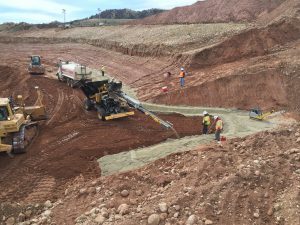 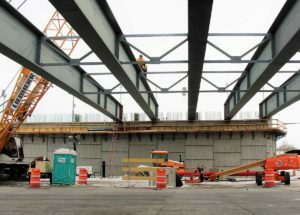 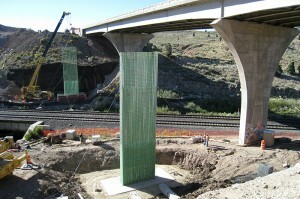 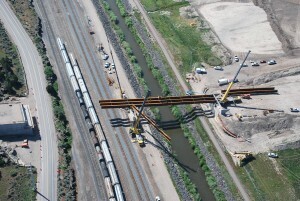 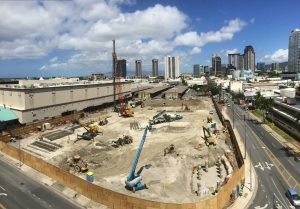 The project included the installation of 13,600 lineal feet of 84-inch diameter welded steel pipe, 1,410 lineal feet of 48-inch welded steel pipe, 340 lineal feet of 60-inch diameter jack & bore style tunnel under I-15, 62,700 lineal feet of 60-inch diameter welded steel pipe, 11,900 lineal feet of 138kV power cable, 9,000 lineal feet of ductile iron pipe and various structures and appurtenances for both the welded steel and the ductile iron pipelines. 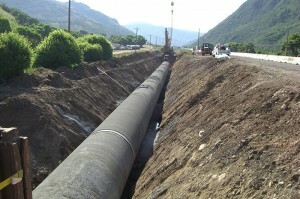 The aqueduct increased the flow of water by 70 million gallons a day that can be treated and delivered to over 500,000 end users. 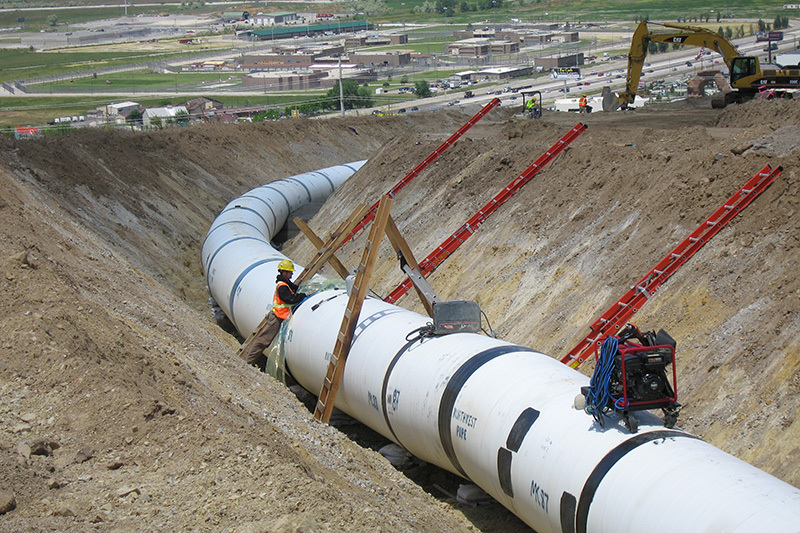 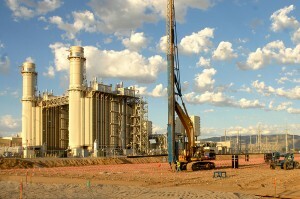 This pipeline completed the connection between all major water delivery systems in the Salt Lake Valley. 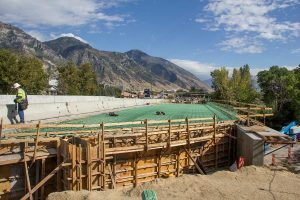 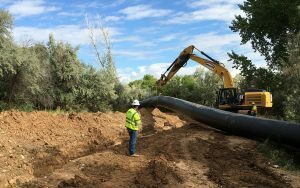 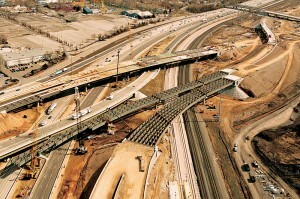 This project required careful planning, as the pipeline wove through 12 miles of Salt Lake’s heavily residential southern suburbs without having to close down access to the affected neighborhoods. 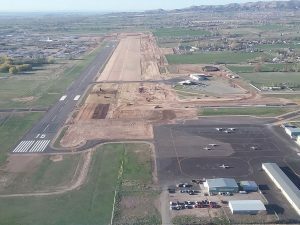 The project was carefully planned, with a full-time Public Relations manager on site, and was completed without any claims. 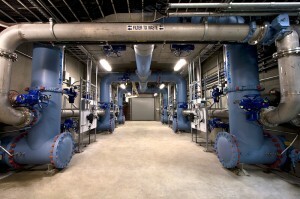 W.W. Clyde received the prestigious national 2007 AON Build America Award from the AGC of America in the category of municipal and utilities/new construction for this project. 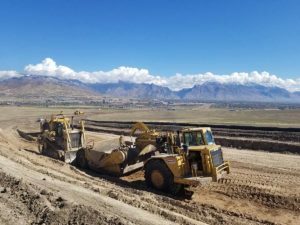 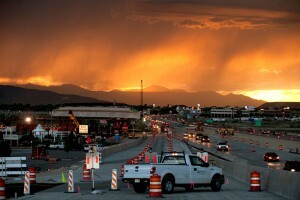 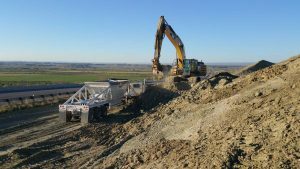 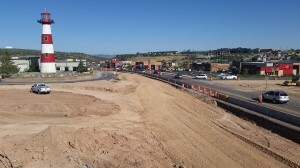 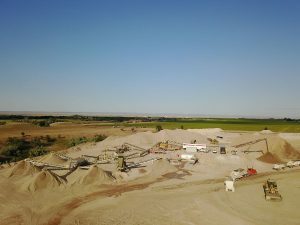 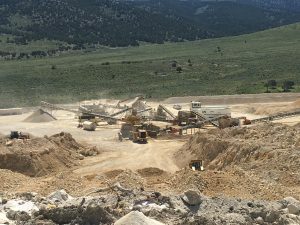 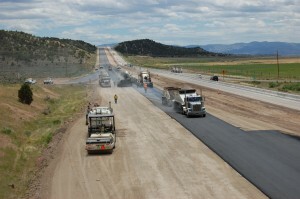 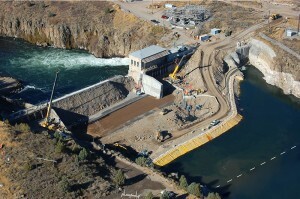 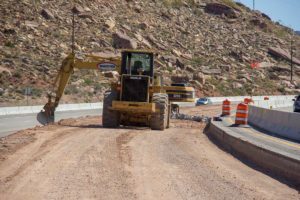 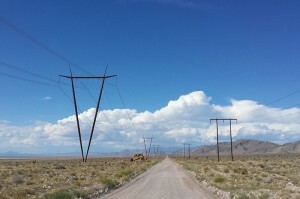 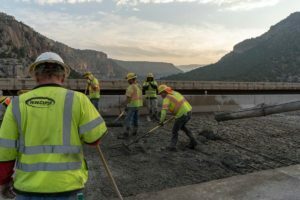 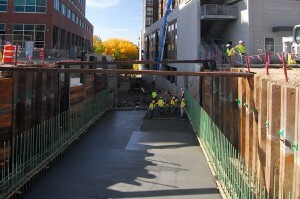 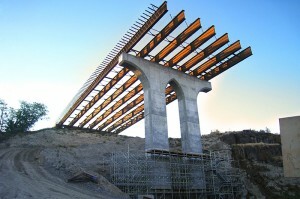 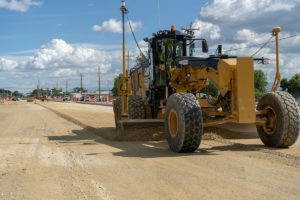 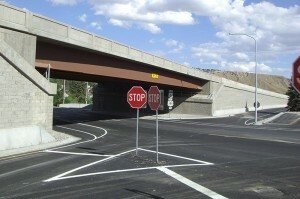 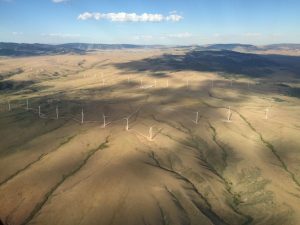 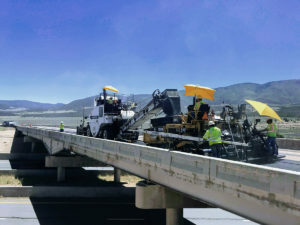 This project also received the AGC Utility Project of the Year Award, the Intermountain Contractor Best Project of the Year Award, and the Sandy City Contractor of the Year Award.